Swing traders huddle up! 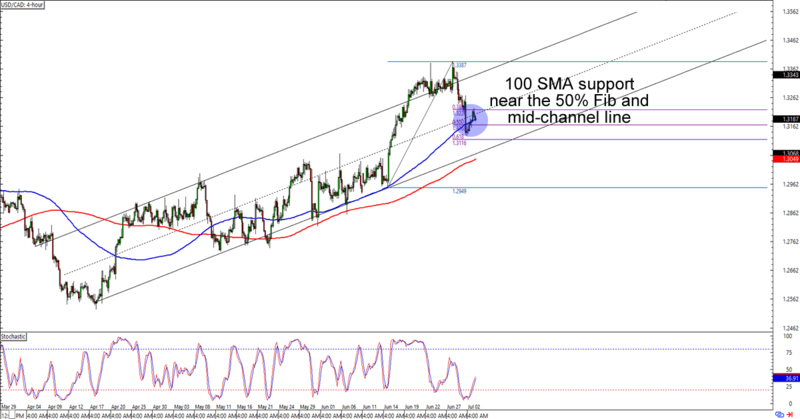 I’ve got trend and range plays on USD/CAD and GBP/NZD that you wouldn’t want to miss. Get ’em while they’re hot! USD/CAD just bounced from the 1.3150 area, which was right smack at a mid-channel, 100 SMA, and 50% Fib support levels on the 4-hour time frame. Think the dollar is about to go back to its June highs? Buying at current levels could get you a good reward-to-risk ratio especially if you place your stops just below the mid-channel line. If you’re expecting a bit more dip before seeing a bounce, though, then you could also wait for a retest of the channel support near the 200 SMA before you place your long entries. Here’s a nice and simple one for ya! GBP/NZD is about to hit the 1.9600 major psychological level, which lines up with a range resistance that hasn’t been broken since November 2017. Stochastic is already in the overbought area, but hasn’t shown signs of going down just yet. 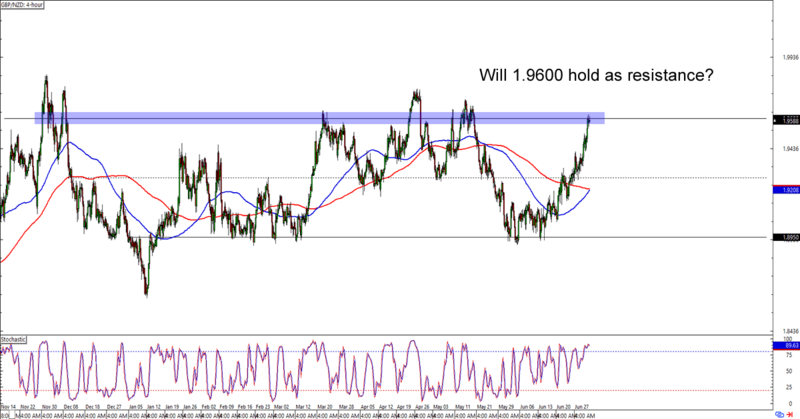 Will 1.9600 hold as resistance for another day? The 1.8950 range support is 650 pips away, so you can afford to wait for a bit of momentum before shorting this one. If you think that there’s no way the Kiwi would gain on the pound, though, then you could also wait for a break above April’s highs and trade an upside breakout instead.